Relax and unwind in your own peaceful, rural hideaway and reconnect with nature. Nestled in the rolling hills of the Dordogne you will find luxury, eco yurts hidden in their own secluded clearings, each with its own private and very individual facilities. This is a chance to come and relax and enjoy a bit of the "good life" with us – it's a place where peace and tranquility reign and is the perfect setting for a romantic getaway or a green, ecological holiday. It’s an opportunity to re-connect and get back to nature, happy in the knowledge that the sun heats your water and powers your lights and even your human waste is transformed into amazing compost that nourishes the willow beds, ready for us to make new yurts! 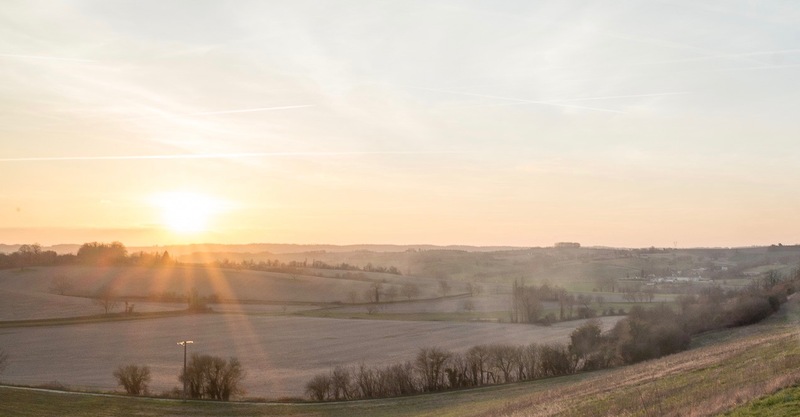 This is a glamping holiday with an opportunity to experience a bit of slow living away from the hustle and bustle of your everyday lives, in beautiful rural France. So, which yurt's for you ? Each of our four yurt hideaways are quite different and are so so much more than just a tent in a field - so take a look and choose your favourite!